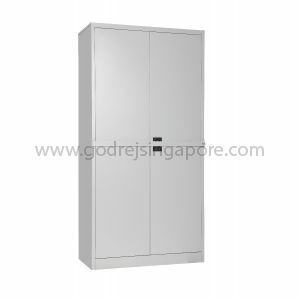 All our Metal Cabinets are designed for rigidity and durability as they are manufactured from high quality steel with a multiple bend construction. 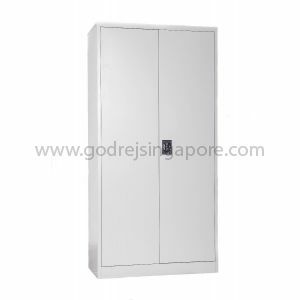 All our Metal Cupboards are ideally suited for Office Storage of various types of files and stationery. 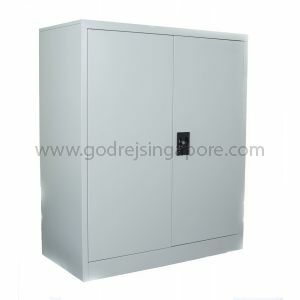 These Storage Cabinets are also suitable for storage of light industrial/engineering parts and tools and can be used on shop floors as well as offices. 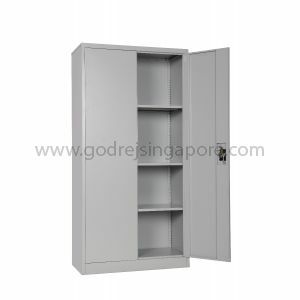 All our Swing Door Metal Cabinets undergo automatic powder coating with epoxy polyester powder in seal grey colour of 40-50 micron thickness and are also phosphatised against rust to provide a finish to the Metal Cabinet that is suitable to the interior design and decor of Contemporary or Modern commercial and home offices. 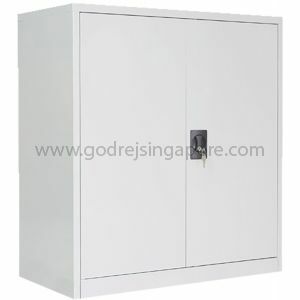 All our Swing Door Storage Cabinets are provided with a Secure Three-Way Locking System. All such locking is provided with Three Original Keys and the Locking System may have a Master Key, which can be provided to our customers, if required. Our Steel Cupboards come in various sizes to suit the needs of varying height requirements of our customers. 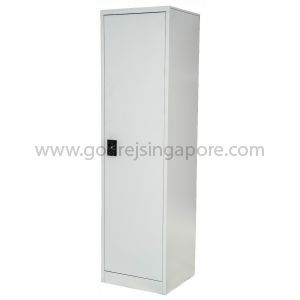 Our Steel Cupboards or Steel Cabinets have adjustable shelves at a 25mm pitch for flexibility in usage. All our Metal Storage Cabinet Shelves are supported with heavy duty shelf support brackets. 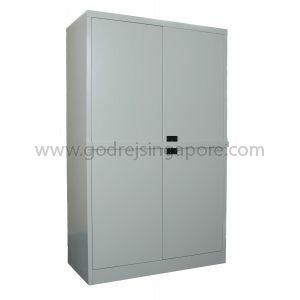 All doors of our Storage Steel Cabinets have heavy duty full length stiffners to provide greater rigidity. All our Metal Storage Cabinet doors are fitted with rubber buffers to prevent metal to metal contact and dampen noise to ensure quiet door movement.